Wearing contact lenses offers a comfortable and convenient way to improve your vision. Part of this process involves undergoing a contact lens exam to make sure that you have the right prescription and lenses that are a good fit for your eyes. At Family Vision Center, patients in Stratford and Bridgeport can have contact lens exams for improved vision. If you plan on getting contact lenses or if you already wear them, keeping up with annual contact lens exams is important. Our optometrist in Stratford and Bridgeport provides these exams, so you can see clearly and have lenses that offer a comfortable fit. During your contact lens exams, our optometrist will determine the prescription you need and take other factors into consideration in order to help you decide the type of lenses most suitable. Some eye conditions, such as astigmatism, might require you to wear certain types of contact lenses. Our optometrist will make sure that you have the right lenses to correct your vision. 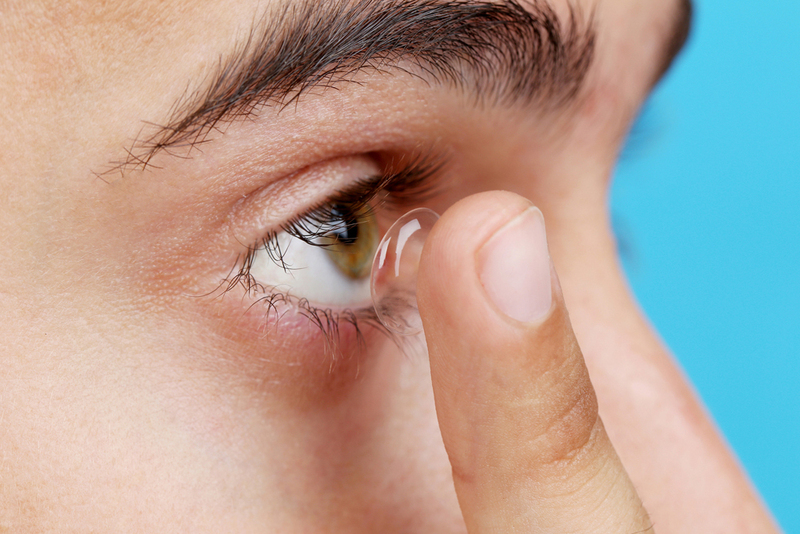 Contact lenses usually take some getting used to, but they shouldn’t cause severe or ongoing discomfort. Going for contact lens exams and fittings helps ensure your contact lenses fit your eyes perfectly for optimum comfort. Our optometrist will have you place your contact lenses in your eyes to make sure that they fit the way they should. If they don’t, our optometrist will help you get the contact lenses you need for improved comfort. Keep in mind that some types of contact lenses are more suitable for certain lifestyles than others. Our optometrist can help you choose from different types of lenses that best suit your lifestyle, such as disposable ones, extended wear lenses or gas permeable lenses. Your contact lens prescription is likely to change, so it’s important to have regular contact lens exams. Depending on your vision, you might have changes in your prescription every year or every few years. In general, you should plan on coming for an exam at least once a year. When you see our optometrist in Stratford and Bridgeport for your exam, you’ll know if it’s time to get lenses with a stronger prescription. This helps ensure that you continue to enjoy improved vision, which allows you to do your usual activities. If you have changes in your prescription, our optometrist will help you order new contact lenses with the adjusted prescription. If you’re interested in trying a different type of contact lens or if your current lenses are not as comfortable as they should be, you can discuss this at your appointment. If it’s time for a contact lens exam, contact Family Vision Center for an appointment. We provide contact lens fittings and exams in Stratford and Bridgeport.